At nodesupply.com, we aim to support every masternode cryptocurrency there is. However, we want to provide our customers with the best possible service. That is why, in the coming weeks and months, cryptocurrencies will be added slowly. We want to have a strong relationship with our cryptocurrency partners, so that we can resolve any technical issues as soon as possible. 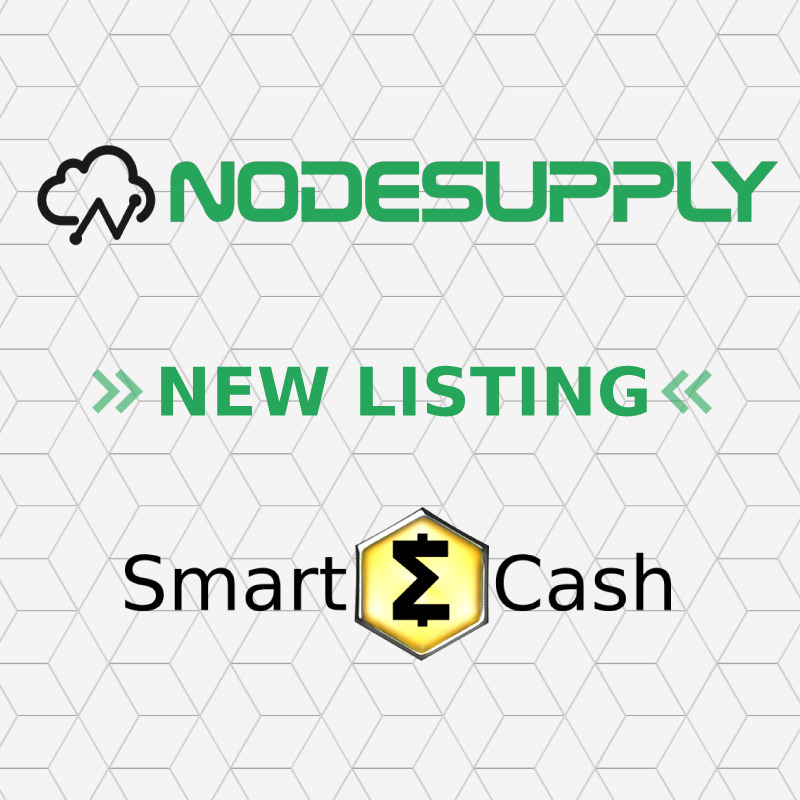 I'm happy to announce that today, we have established a partnership with SmartCash! Starting from today, you can order your SmartNode hosting on nodesupply.com. If you need support setting up your nodes, or have any questions, please contact us at support@nodesupply.com or in our Telegram group.